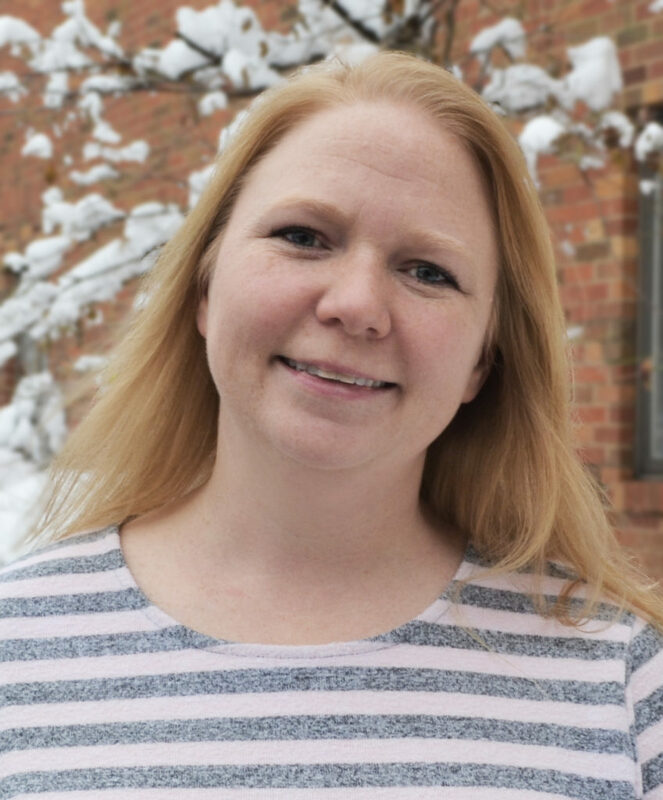 Written by the Coordinator of Training and Quality Assurance, Jessica Porter, who celebrates 14 years employed at Boone County Family Resources. Individuals served by BCFR often comment on our kind and compassionate employees who try hard to help. This is in large part due to the company culture embedded into the day-to-day interactions of our employees. As an organization, BCFR communicates its goals and vision to employees in a way that makes everyone part of a unified team. We are here to help individuals thrive in the community, connect with others, and to achieve individual goals. This happens with the individuals we serve, the general community, and between co-workers, creating a culture that is truly unique and something we take great pride in. There are many ways our employees give back to the community and make a difference in the lives of others, beyond the day-to-day work. Each winter, BCFR employees compete as a team for the Special Olympics Polar Bear Plunge and the last few years have been a top fundraiser for the event. In the spring, employees volunteer and participate in Clean-Up Columbia to help pick up trash in our community. In August, employees donate to provide back-to-school supplies for the Voluntary Action Center. BCFR has also been recognized for many years as a Pacesetter organization for the Mid-Missouri United Way. And each November, staff adopt families through the Voluntary Action Center to provide holiday gifts. (Left) Staff prepare to jump in the frigid waters of Bass Pro Lake to raise money for Missouri Special Olympics. (Right) Staff distribute gifts collected by VAC to many of the families we serve. Employees also genuinely enjoy spending time and recognizing the accomplishments of one another, including holidays, work anniversaries, birthdays, and life milestones. Celebrations often include food and BCFR employees are known for throwing the most delicious potlucks. Staff love to spend time celebrating achievements together, often with yummy food! Another way that employees give back is participating and recognizing advocacy initiatives, including World Autism Awareness Day by wearing blue, wearing Lots of Socks for Down Syndrome Awareness, and wearing orange for Unity Day. Staff also recognize the contributions of one another during Direct Support Professionals’ Week, Administrative Professional’s Day, Case Management Week, and National Nurse’s Day. Staff participate in advocacy initiatives by wearing blue for World Autism Awareness day and orange for Unity day. Employees at BCFR go above and beyond to help every person they come into contact with thrive, connect and achieve in the most meaningful way to that individual. If this team environment sounds like something you’d like to be a part of, you can check out BCFR’s open positions at www.bcfr.org/careers.